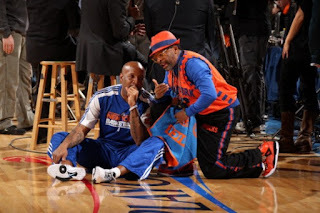 Spike Lee has been reppin’ for Jordan Brand before they were Jordan Brand. Yep, Mars Blackmon aka Spike Lee is so important to Brand Jordan they blessed him with his own shoe, the Jordan Spiz’ike. Spike Lee reps just as hard for his New York Knicks as he reps for MJ’s brand. In the past, he’s been spotted rocking a New York Knicks inspired Jordan Spizike, but check out Spike’s new NY Knicks Jordan Spizikes. 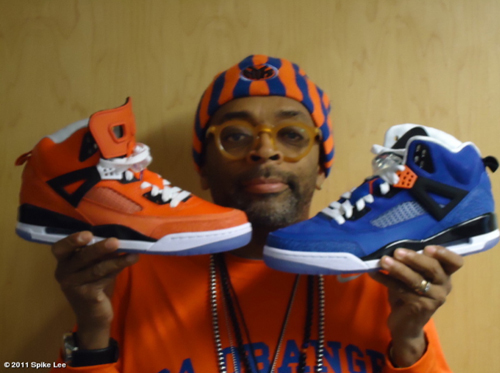 Keep your eyes peeled while you’re watching the Knicks vs Celtics game tonight to see which colorway Spike Lee is rocking. Which color is the best?